I can’t believe it is that time of the month again…time for a sneaky peak into kitchens around the world hosted by Celia of Fig Jam and Lime Cordial all the way from Sydney Australia. I like the misalignment of seasons between the Southern and Northern Hemispheres because that means I can get a gardening or barbeque fix from someone down under while I soothe their heat ridden days with recipes that promise the return of cooler times. Right about now we’re even temperatures I reckon, depending on where you’re living in the Great Southern Land because it’s finally Spring here in Calgary! Today is supposed to reach near 20 C which is nearly a miracle after the brutal winter we’ve had. The snow isn’t gone yet though, nearly 1/5 of my yard is still covered! I’ve had a pretty busy month. At the end of March, beginning of April I decided to enter the Canadian Lentils Recipe Revelations Challenge by creating several original recipes featuring lentils. The last day to enter recipes was yesterday so now the wait begins. 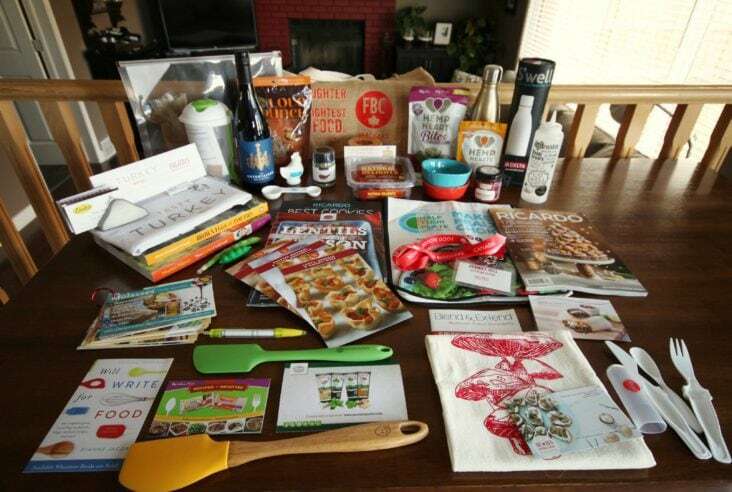 I am not really thinking I will win because there were so many outstanding and delicious looking recipes entered. I already consider my family winners because we discovered that we really like lentils in the process! 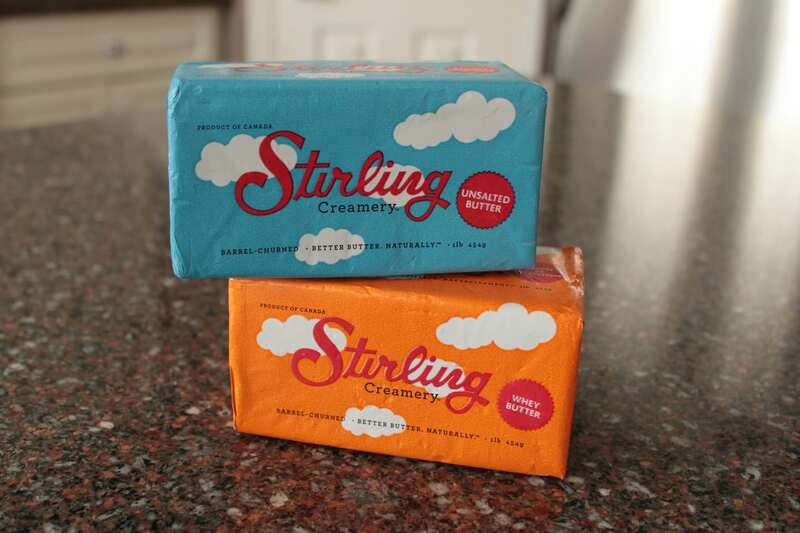 I visited a new ‘green’ grocery store nearby called Mrs. Green’s and found Stirling Butter which I have been really looking forward to baking with. I finally assembled all the bitters in my house to one location, forcing myself to admit I have a bit of a problem. 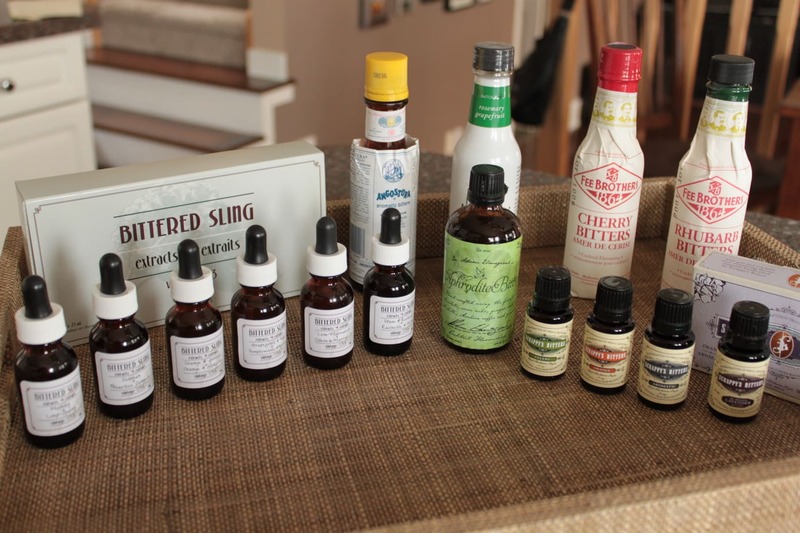 Does anyone have any food recipes featuring bitters they would like to share with me? 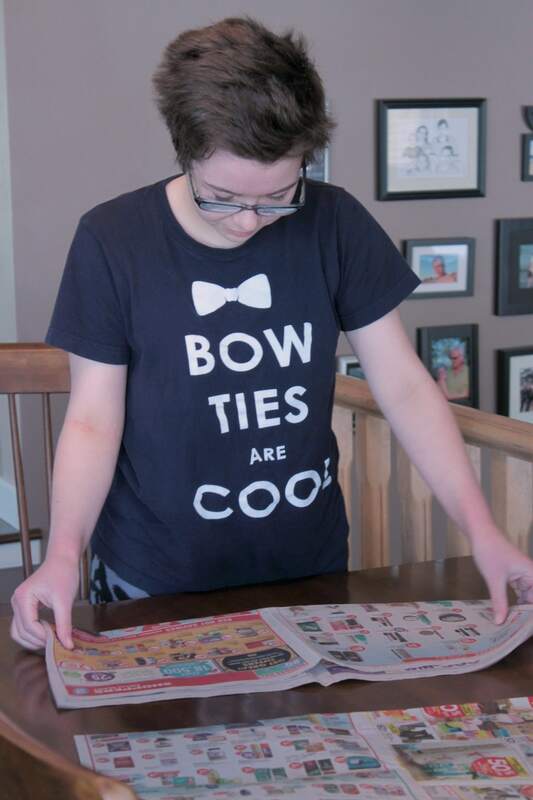 And finally, a picture of my daughter creating the pattern for her Calgary Comic Expo costume out of newspaper. We used an old vest to roughly define the pieces then added on as we imagined the vest from Hiccup (the Viking boy from How to Train Your Dragon) to be. Next we cut out the pieces from fun fur. I don’t know why they call it that…it wasn’t fun at all! Next weekend, we sew them together (hopefully). Maybe next month she’ll let me post a photo of her in the full costume. That’s all folks, not much else going on in my kitchen at the moment. See you in May! Great post! Missed your feta, pea and dill quiche…I must go find it and study the recipe. It’s beautiful. I love the look of that lentil faux pie crust for the quiche. I’m in aggregate with Francesca on the quiche! Will definitely be giving that one a go. So lovely to make your acquaintance through IMK. I’ve bowled over by your feta, pea and dill quiche; and have now BOOKMARKED it to make in the near future. It’s really beautiful, esp the lentail faux pie crust for the base. Great! 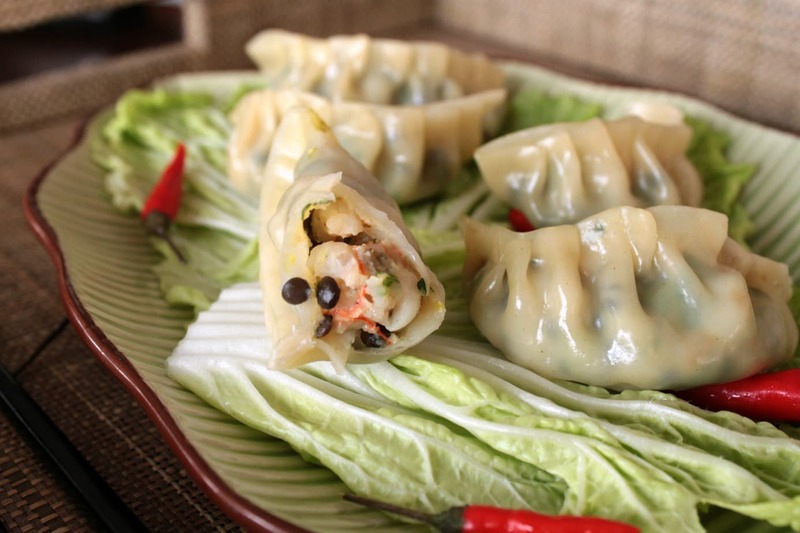 Please let me know how it turns out for you…isn’t IMK the best?! uh oh….I’m in for it am I? Best tip I ever got was to take a sharp pair of scissors and trim the pile down on the seam allowance before you sew. Saves trying to seam with it in the way. G’day! Great post! You photos look amazing! Thanks for this month’s kitchen view too!! 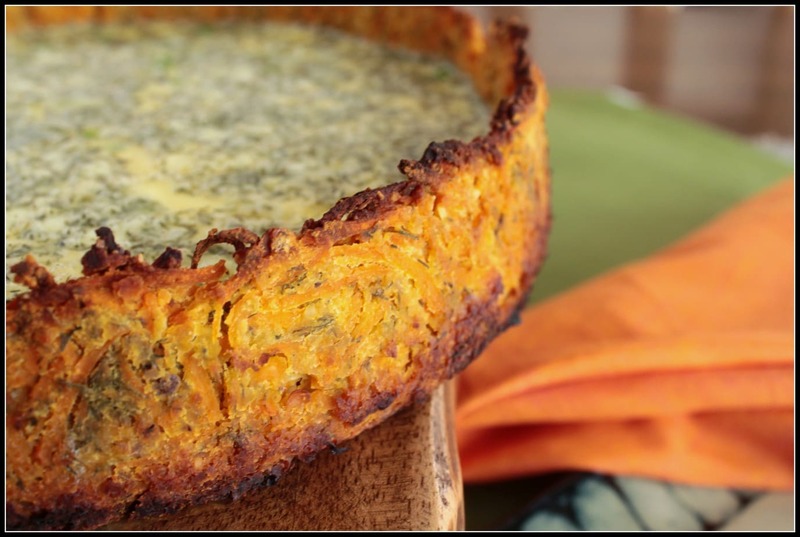 So lovely to “meet” you via IMK – love, love, love that lentil pie crust – hope you will be posting recipes soon! 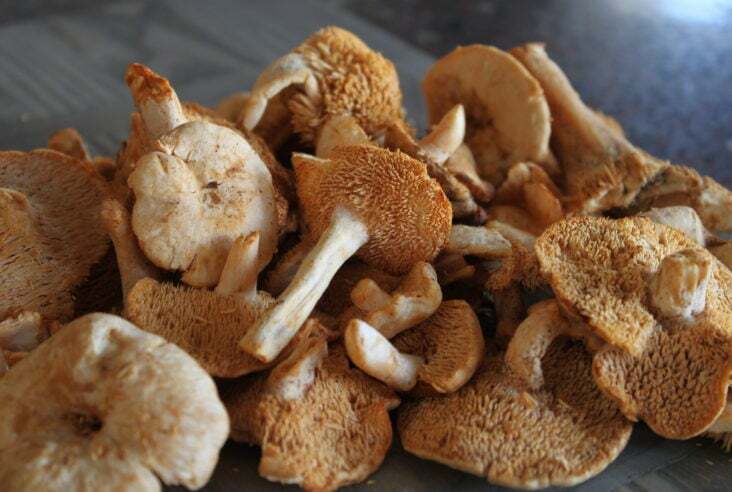 Hi Selma, the recipes are posted already…just click on the link below the photo. Nice to meet you too! Thanks – have just bookmarked it! Loving all those lentil recipes – am intrigued by the sticky lentil date pudding. And of course the pie looks AMAZING.